If you’re excited to have Blizzard’s blockbuster lootfest on your Switch, you’re not the only one. 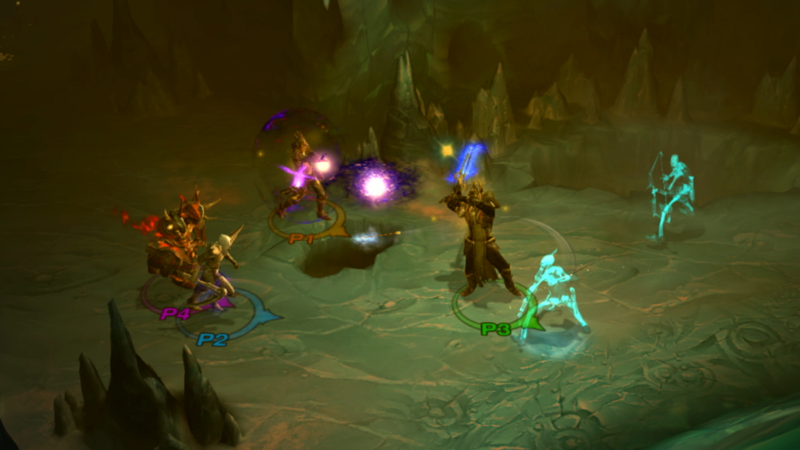 Nintendo worked closely with Blizzard to move Diablo III over to its portable system. In fact, Nintendo had practically been waiting for Blizzard to make the call. However, Diablo III isn’t a small game. It’s currently over 14 GB on PC, which is almost half of the Switch’s internal memory, so Blizzard knew it would have to trim the game a bit to fit it on Nintendo’s portable system – not to mention optimize its processing power. When Blizzard decided to bring Diablo III over to Switch, the studio made a promise that it wanted to stick to 60fps as much as possible, and by-and-large it has. The lowest we saw it dip was into the mid-50s. If you don’t believe us, just read our hands-on impressions (you’ll just have to believe us, I guess). Impressively, Blizzard obtained this miracle almost solely through reducing the texture sizes on the art assets. So that is one question dodged. We’ll played Blizzard … but we’ll be back. Check out our hands on impression of Diablo III and other games in our Gamescom preview roundup.